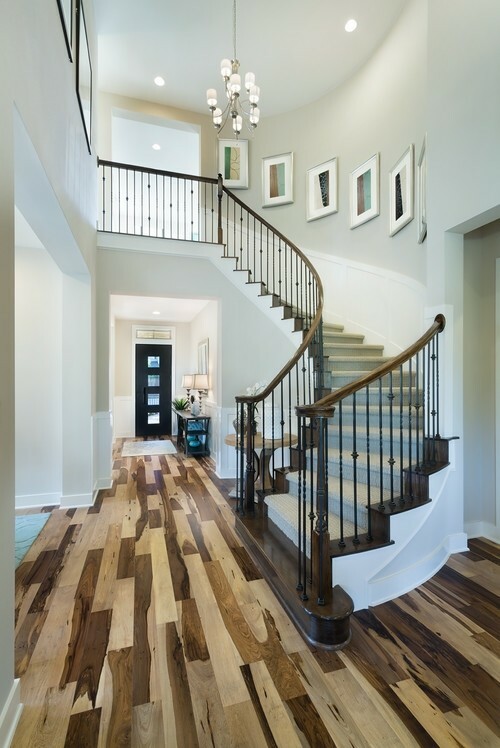 Bring some personality to your home with exotic Brazilian Pecan hardwood flooring. Also referred to as Macchiato Pecan, this South American wood species exhibits strong color variations which is compared to the look of premixed coffee and cream. 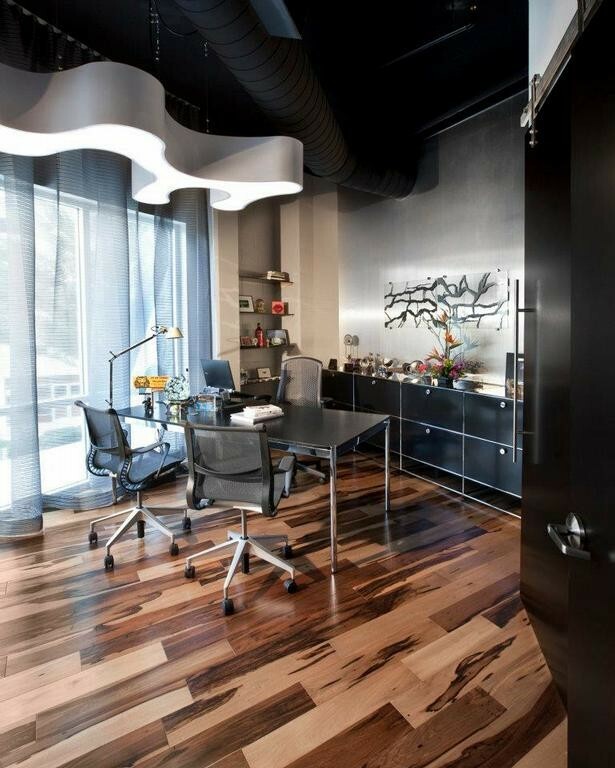 This Brazilian Pecan hardwood flooring comes coated with an impressive factory applied aluminum oxide polyurethane finish that is designed to resist scratches and protect against abrasions. 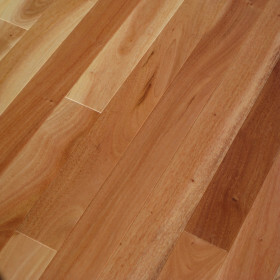 As with most South American exotics, Brazilian Pecan features a high hardness rating. 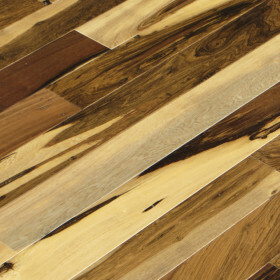 The high contrast color swirls of Brazilian Pecan range from a silver hue to a reddish brown to an almost jet black. 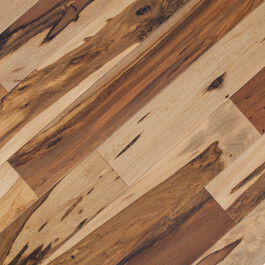 The resulting mix is a stunning pattern that is a true wow factor.